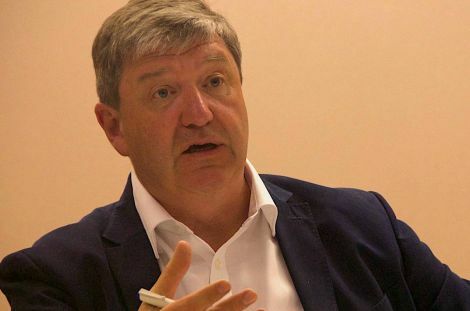 NORTHERN Isles MP Alistair Carmichael has accused the UK Government of a “totally indefensible” power grab after the Brexit bill passed its first stage in the House of Commons on Monday night. The European Union (Withdrawal) Bill, ending the supremacy of EU law in the UK, was passed by 326 votes to 290. Carmichael is among critics who contend that it enables the Tory government to bypass parliament. Without the government revealing its hand, the MP said it was difficult to know precisely what the implications might be for his constituents, but he is clear that the Conservatives will continue taking decisions “through the prism of their own party split rather than the national interest”. Carmichael’s concern is that the EU bill affords the government the power to bring forward secondary legislation, subject to a lesser degree of parliamentary scrutiny, covering “any provision that could be made by an act of parliament”. “It is a few short steps removed from rule by decree,” he said. “Theresa May and the Conservatives are determined to continue to do what landed our country in this mess in the first place. “They will try to continue to manage our country’s relationship with the rest of Europe not in a way that best reflects our national interest but rather in a way that promotes the best interests of the Conservative party. He said it was “a lot more than just a bill to repeal the European Communities act”, and he fears it will ultimately have consequences for communities and industries such as fishing and farming. “We still don’t know what the government’s plans are for what comes after Brexit, but it’s pretty clear that they will be the judge and jury of how that works when we get there,” Carmichael said. “The powers that they have taken for themselves with this bill mean they can bypass parliament at will. I don’t think that’s what most people thought it would be like when they voted for the UK Parliament to take back control. He added that the bill would now spend eight days in its committee stage where “we will go through it paragraph by paragraph”, and he noted there were several amendments with “sufficient Conservative names on them to beat the government in a vote”, so the battle is far from over. While the fishing industry remains relentlessly upbeat in its outlook on Brexit, much greater concern has been expressed within the agriculture sector. On Tuesday, the National Farmers’ Union (NFU) voiced concern at any prospect of Scotland losing the freedom to “implement agricultural policy in different ways to its neighbours elsewhere in the UK”. Since devolution was introduced in 1999, the Scottish Government has been tasked with implementing the EU’s common agricultural policy (CAP) – albeit a task it has not always carried out to the industry’s satisfaction. He said a “one-size-fits-all approach” had not worked for the UK within the EU so “there is no reason to suggest the same approach would work after Brexit” within the UK. Pressure is raining in on the UK Government’s negotiating team, led by David Davis, from multiple angles to start giving answers on the UK’s post-Brexit arrangements in a host of areas. Recent weeks have seen questions raised over the implications a tightening of rules on EU migrant workers might have for industries such as seafood processing and NHS Shetland’s ability to fill vacancies. Meanwhile, following a trip to Brussels with other MSPs to meet the EU’s chief Brexit negotiator Michel Barnier on Monday, Shetland MSP Tavish Scott called on the UK Government to ensure transitional arrangements enable Shetland’s £300 million-a-year seafood industry to continue selling to EU countries post-Brexit.